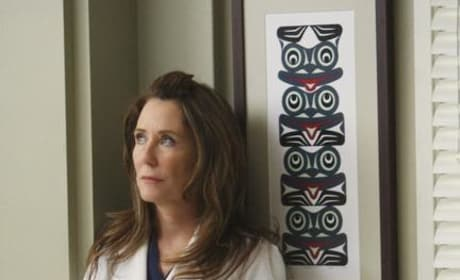 An emotional scene is depicted in this photo from "All By Myself" from the fifth season of Grey's Anatomy. 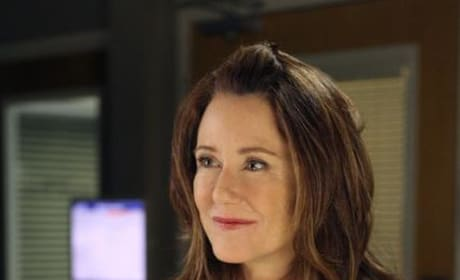 Can Cristina learn from Dr. Dixon and develop a better relationship with her than she had with Dr. Hahn? That's one of the plot lines in "All By Myself" from the fifth season of Grey's Anatomy. 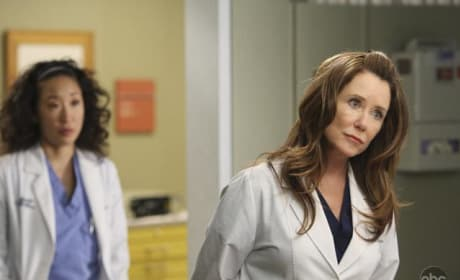 Dr. Yang (Sandra Oh) and Dr. Dixon (guest star Mary McDonnell) in a photo from "All By Myself" from the fifth season of Grey's Anatomy. Well, she's not really big. 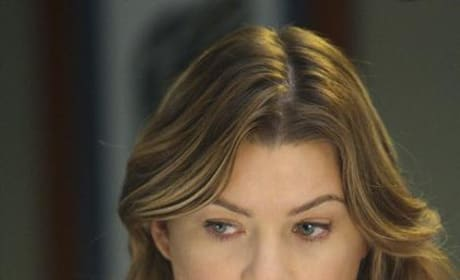 In fact, Meredith Grey is quite slender. 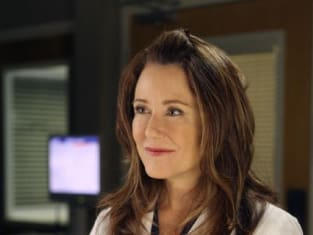 But if Lexie Grey is Little Grey, we thought this was an appropriate nickname for Mer. But we're wishing we could take it back now. 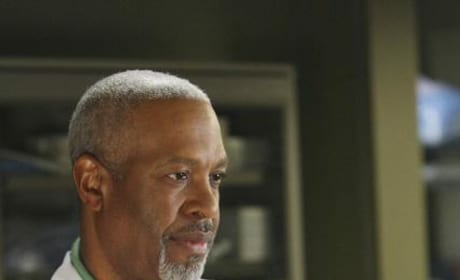 That's Dr. Richard Webber, and he takes his job seriously. The man is not one to back down from challenges, or to sit idly. 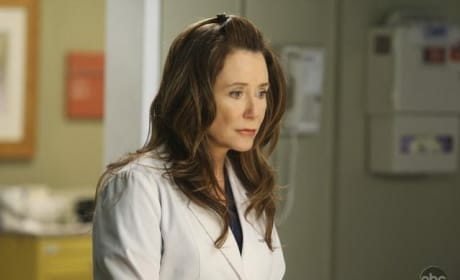 A picture of Dr. Dixon (guest star Mary McDonnell) from "All By Myself."